The U.S. Federal Communications Commission has voted to require mobile carriers to enter into data-roaming agreements with competitors, despite objections that the agency doesn't have the authority to enforce the pacts. The commission voted 3-2 Thursday to require mobile-broadband roaming agreements between carriers in a move largely targeting AT&T and Verizon, the two largest mobile carriers in the U.S. The commission's two Republicans voted against the order, arguing that the FCC has no congressional authority to enforce common-carrier rules on mobile broadband service. 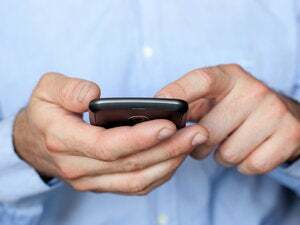 Several small mobile carriers have called for FCC action on data-roaming agreements, saying the two large carriers often refuse to even negotiate. Mobile customers expect that their Internet and e-mail services will work nationwide, said Commissioner Michael Copps, a Democrat. "What good is that smartphone if it can't be used when a subscriber is roaming across the country or even across the county?" he said. "Our regulations must reflect today's reality and not make artificial distinctions between voice and data telecommunications." The new rules don't set prices for the roaming agreements, allowing carriers to negotiate commercially reasonable rates. But the rules set up an arbitration process at the FCC if two carriers can't come to an agreement. The requirement amounts to old-style common-carrier regulations historically applied to voice services with little competition, argued the commission's two Republicans. The Telecommunications Act of 1996 prohibits the FCC from applying common-carrier regulations to information services, including mobile broadband, said Commissioner Robert McDowell. The arbitration process at the FCC will lead to the agency setting data-roaming rates, a feature of common-carrier regulation, he said. "No matter how noble a policy goal may be, we have a steadfast obligation to respect the boundaries established by Congress through our authorizing statute," McDowell said. "The new regulations adopted today are in direct conflict with the act and commission and judicial precedent." If the commission sets data-roaming rates too low, it will provide major carriers a disincentive to build out their mobile broadband networks, added Commissioner Meredith Attwell Baker, also a Republican. Democrats on the commission argued the new rules allow carriers to separate agreements with each competitor. Calling the new rules common-carrier regulation is "flat wrong," said FCC Chairman Julius Genachowski . Verizon has negotiated 22 data-roaming agreements with competitors for its 3G EVDO (Evolution Data Optimized) service since it launched the service in October 2003, with 13 agreements coming in the past year, when the FCC began looking into the complaints, FCC staffers said. AT&T has negotiated one data-roaming agreement for its 3G High-Speed Packet Access network since launching the service in 2005, the FCC said. But AT&T has "ubiquitous" data-roaming agreements in place for its 2.5G service, said Margaret Boles, an AT&T spokeswoman. AT&T is also negotiating several 3G agreements, but several carriers don't have 3G services in place yet, she said. "The evidence presented in this proceeding demonstrated conclusively that proponents of a roaming mandate were seeking government intervention, not to obtain agreements -- which are plentiful -- but rather to regulate rates downward," added Bob Quinn, AT&T's senior vice president of federal regulatory policy, in a statement. Verizon said it has a spectrum-sharing agreement with several rural carriers. It called the rules "unwarranted government intervention." Sprint and trade groups the Rural Cellular Association and the Rural Telecommunications Group (RTG) all praised the FCC action. "The vast majority of mobile carriers, both large and small, have waited a long time for the commission to recognize that both data roaming and voice roaming are critical to competition and keeping consumer pricing affordable," said Carri Bennet , RTG's general counsel. "This decision creates a practical regulatory framework that should help protect all carriers from anticompetitive practices and by extension secures national data roaming for all American consumers regardless of who they use as their mobile wireless service provider."